The Normalization Committee of the Ghana Football Association have rubbished reports indicating that Black Stars players were initially denied Tang Palace entry. On Tuesday, Ghanasoccernet claimed that the players have been denied access to the place ahead of their final Africa Cup of Nations qualifiers against Kenya. However, the Committee who are in charge of Ghana football have issued a statement rubbishing those claims by the controversial online portal. Nicolas Opoku was the first player to arrive at the team’s hotel on Monday. He was told by security personnel at the entrance of the hotel that camping was scheduled to begin on Tuesday, March 19, 2019. 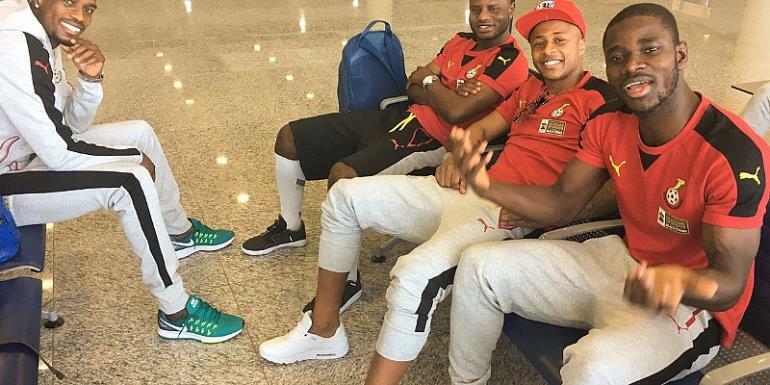 Opoku and Lumor Agbenyenu as at close of day on Monday were the two players to have arrived and resting in their rooms at Tang Palace, with most of the players expected to arrive later in the night.